Wikipedia - the most popular online encyclopedia in the world. In this article we will tell more about the history of the project, and its main features. Wikipedia - a free online encyclopedia, contains articles about everything: dates, developments, famous people, works of art, laws of physics, disease, etc.. The word "Wikipedia" is built from the Wiki (It means "quick" in Hawaiian translation) and encyclopedia. The main feature of this site is, that its users create themselves. Anyone can write or edit an article in Wikipedia. 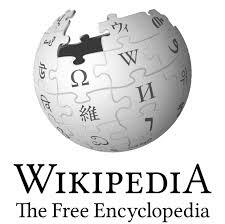 Today, Wikipedia is available in many languages ​​and is very popular in a lot of countries. The basic principles of Wikipedia: versatility, multilingualism, free access to information and a neutral point of view. The project has been developed from another project - Nupedia. It was an online encyclopedia in English. Its difference from Wikipedia was, that wrote an article for Nupedia experts. However, the developers of the project for the further development of Wikipedia created to accommodate the drafts of articles. The founding date of the site is considered 5 January 2001 of the year. Then came website Wikipedia.com. To 2003 Year Wikipedia and Nupedia existed and operated in parallel, Wikipedia but then won the race. Wikipedia - the free encyclopedia. It means, that absolutely anyone can take part in the project. You do not even need to register on the site. It is possible to write new articles (and free those still very much), and edit existing ones. Studies show, editing articles deal with people, more or less versed in the topic, According to Wikipedia, so you can trust (but not unconditionally). To date, Wikipedia can be read by almost 300 languages. Moreover, there is no transfer of articles from one language to another. In each country, Wikipedia lives his life and filled with his men. Often the articles, even on the same topic, but written in different languages, may be totally different. However, the organization Meta-Wiki was created relatively recently, which has created a list of articles, common to different languages. This article about the basics of the basics: the basic elements of the various sciences and knowledge of mankind. Wikipedia today - the most important source of information, which is used in various fields of human activity. According to Wikipedia's popularity is not inferior to the famous Google and YouTube services.